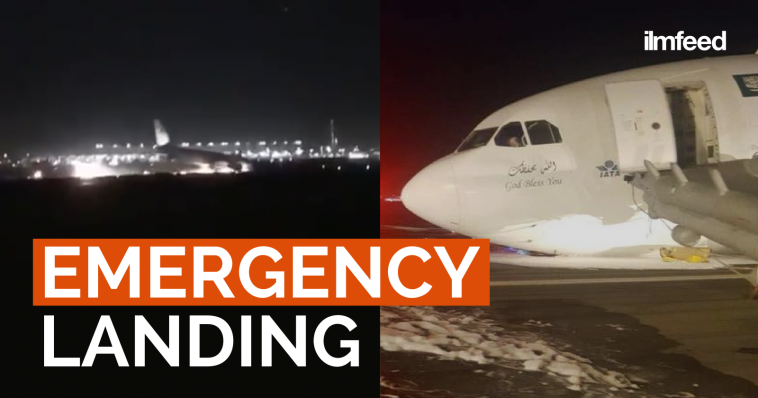 A Saudia Airlines flight has made an emergency landing in Jeddah after its front landing gear failed to retract. The flight to Dhaka took off from Madinah when the pilots realised the front landing gear became jammed and failed to retract. They were told to divert to Jeddah airport and make an emergency landing. After several attempts, they landed without an operational front landing gear and thankfully all 141 passengers and 10 crew members escaped without injury via emergency slides. Abdurahman Al-Tayyib, spokesman of Saudia, said that SV3818 flight, developed issues with the hydraulic system at around 8 pm on Monday 21st May. “The pilot made several attempts but failed to correct the malfunction with the front landing gear. Subsequently, the Air Bus 330 made an emergency landing with the nose gear retracted,” he said. A passenger who was on the flight posted a video in which he could be heard thanking Allah for saving everyone on board whilst showing the damaged plane. Alhamdulillah everyone escaped unharmed. 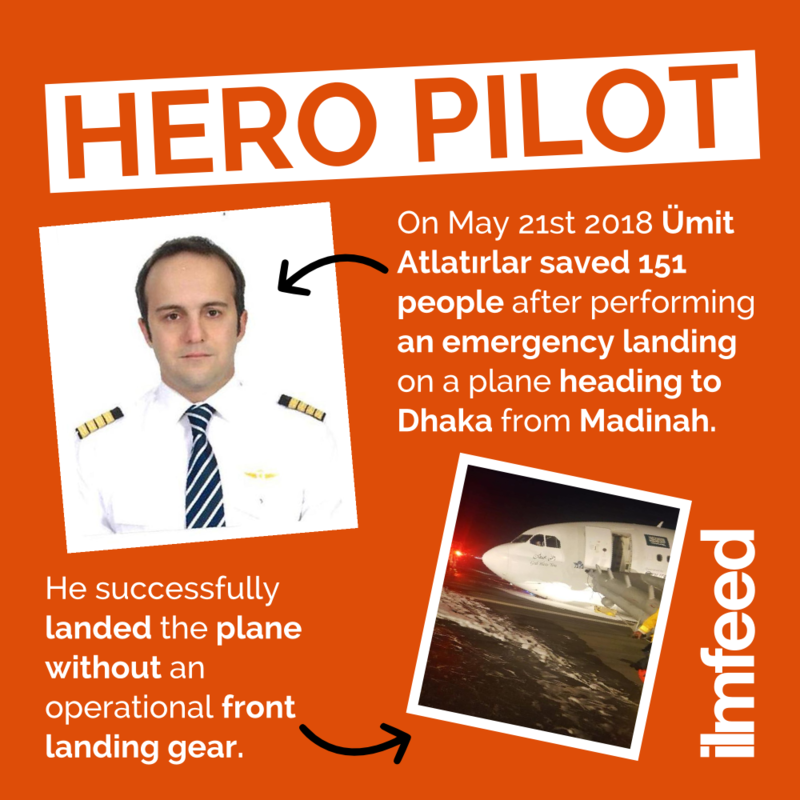 May Allah bless the pilots for their heroic efforts.